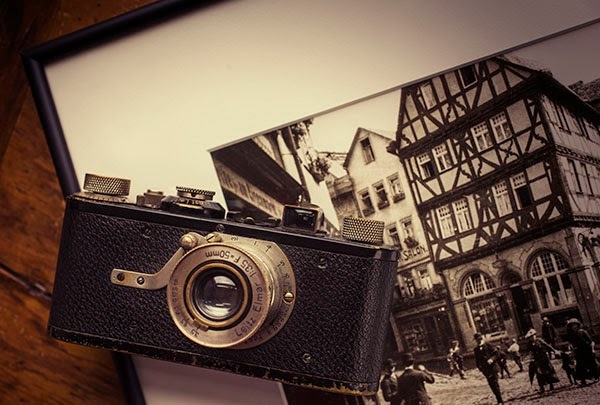 Lulu.com is offering a calendar with exquisite photos of classic Leica cameras for 2014. All photographs were taken by Tom Gill. The calendar is available in two sizes, standard for $18.95 and large for $26.95. On 11-28 we reported that Leica Camera had decided to correct the absence of photography at Art Basel in Miami this year. To do so, they teamed up with the Miami Street Photography Festival. One of the features were portraits by Mark Mann, taken with the Leica S system. In addition, the Leica Akademie held workshops during the same time. Wetzlar (lu). Die Leica Camera AG kehrt Anfang nächsten Jahres nach Wetzlar zurück und damit ein wichtiger Gewerbesteuerzahler. Darauf wies am Mittwochabend Oberbürgermeister Wolfram Dette (FDP) hin. Er brachte in der Stadtverordnetenversammlung den Haushaltsentwurf für 2014 ein. Für 2014 erwartet der Kämmerer aus Wetzlars wichtigster Steuerquelle, der Gewerbesteuer, Einnahmen von rund 35 Millionen. In diesem Jahr war diese Position auf 31 Millionen gesunken. Dass sich die Lage nach Einschätzung Dettes bessert, hänge maßgeblich mit der Ansiedlung der Firma Leica Camera AG im Wetzlarer Leitzpark zusammen, wo in Kürze über 600 Mitarbeiter ihre Arbeit aufnehmen werden. Schon jetzt schmückt das neue Verwaltungsgebäude nebst Produktionsstätte der Leica Camera AG den östlichen Eingang Wetzlars. Anfang des neuen Jahres ziehen die Mitarbeiter von Solms an den neuen Standort - und das Optikunternehmen wird zum Gewerbesteuerzahler in Wetzlar. 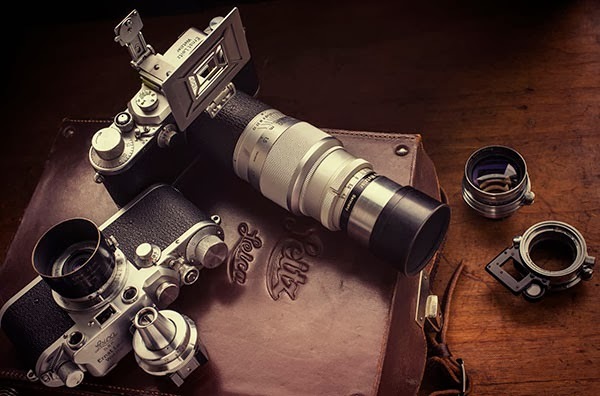 The Sinar p MF-L was developed especially for photographers who wish to avail themselves of the unique quality characteristics of a Sinar view camera while using their Leica S high-end medium format camera body. Exact control of perspective and selective sharpness, the most important creative tools in photography, are set and evaluated precisely on a view camera – all these advantages are now available for Leica S users. In addition, this solution offers the benefit of a distinct increase in quality by using high-resolution Sinaron lenses designed specifically for digital imaging. In combination with the Sinar p system the Leica S users gain access to professional high-end photography. A wide range of the accessories from the modular Sinar System can be used for the professional work in the studio or outdoor applications. The Sinar p-MF-L solution corresponds to the Sinar philosophy to provide modular systems that always accommodate with the latest trends of the market. 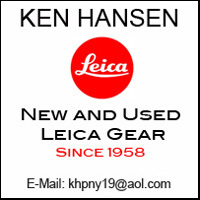 All functions of the Leica S can be controlled from a computer via software called CaptureFlow Leica. The adapter is available for 1590 euros. In August of this year we reported about a new version of the Petzval lens being developed. At that time the lens was still in the final development stages. We are happy to report that the lens is now available for preorder at a cost of $599. On a first come first served basis. 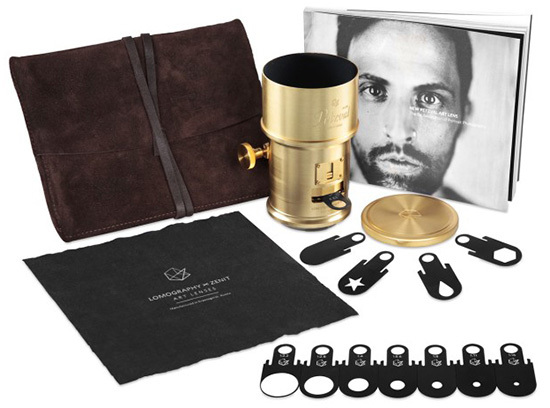 Lomography, the manufacturer of the lens was able to make this lens become a reality by using Kickstarter to obtain the initial capital for this venture. Kickstarter backers are receiving the first shipments of the lens now with the preorders being filled after that. Todays Leica Barnack Berek Blog Gallery is dedicated exclusively to photographing children. All photographs were taken by Marlies Amling of Die Lichtbildnerin in Viersen (by Munich), Germany. I thought it worthwhile to republish it here. 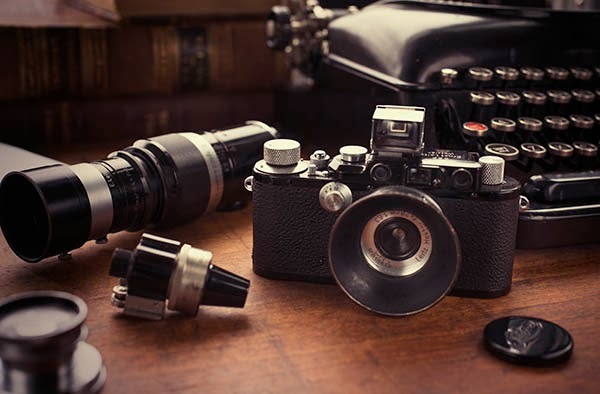 It contains an extensive account of what it takes to make lenses with the exceptional performance level of Leica lenses and what shortcuts are taken by other companies to make lenses cheaper. Few Industrial materials come close to the accuracy of optical glasses whose refractions and dispersions are frequently specified for nine wavelengths of light and to seven or more decimal places. Such precision calls for the utmost purity and many modern “rare earth” optical glasses can be produced only in platinum crucibles which prevent unwanted chemical reactions at temperatures as high as 1700˚ C (3092˚F). Then the glass must be annealed or slowly cooled to a very exact program that might entail 0.5˚ C per hour. To come from a melt to ordinary room temperature might require several months. The principle specifications for optical glass are its light-bending power, or refractive index, for different wavelengths (or colors) of light and its dispersion, the difference of refractive index for certain specified wavelengths. It should come as no surprise that optical glasses of extreme purity require the strictest controls and the most complex production methods. 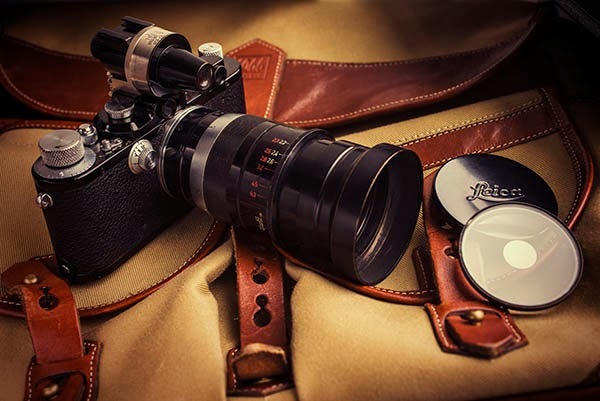 The Leica glass 900403, their so called APO glass consists of no fewer than a dozen different ingredients, including the rare earth element lanthanum. One kilogram of this glass costs almost 60 times as much as a common optical glass such as BK7. Please keep in mind that this APO glass is twice as heavy as BK7. Subsequently the volume of glass in a kilogram that can be turned into lens elements is only half as great, making the actual price ratio between these two optical glasses approximately 120-to-1. This is the very reason why relatively inexpensive lenses rarely, if ever, contain any glasses of this quality. In general, better corrected lenses can be obtained with the use of lens elements made of a glass with a high refractive index. The Leica APO glass, for instance has a refractive index of 1.9005. Why is a high refractive index so important? It is a measure of the light bending power (refraction) of glass. If identically curved lens elements are made of high and low refractive index optical glass, the high index element will have more bending power. When an optical designer needs a certain amount of bending power, he has two possibilities; either by using a greater amount of curvature or by using a glass with a higher index of refraction. The problem is that more curved surfaces are fundamentally undesirable because they introduce a greater amount of optical aberrations, especially spherical aberration. They also introduce a greater amount of surface reflections. High index glasses are therefore of great help in avoiding extreme curvatures, but they are no universal panacea. The correction of optical aberrations also requires fulfilling certain relationships between the different indices of refraction and dispersion values of the glasses which work together to form a well corrected optical system. With the advent of these new and exotic types of glasses, through better production techniques, and with the help of computer design most modern lenses have obtained performance levels that rival the best lenses of yesterday. As a matter of fact, most of the better lenses today are approaching performance levels that can only be taken advantage of with the best films and digital sensors available. One such computer program is COMO, the Leica auto correction program that has been developed over many years. Modern computer lens design programs help with the tremendous complexity of lens design that exist in thirty, forty or even fifty different mathematical planes. Some of the problems considered are lens thickness, radii, spacing, refraction and dispersion, including anomalous partial dispersion. Even with high speed automatic computation, the design of truly excellent optics still requires many months of work. Fifty years ago comparable designs might not have been reached, even by a team of ten mathematicians working for ten years. Research, development and design provide only the prerequisites for high performance optical systems. The rest is up to the factory. At Leica, for example, the most important person is the precision optician whose careful in-house training guarantees knowledge of his field and skills equivalent to those of the physicists and mathematicians who have laid down the design that must now be translated into the realities of metal and glass. Optical glass of the highest quality, streak and bubble free and with the necessary tolerances of refraction and dispersion is the principle raw material. Glass working machinery for the grinding and polishing of optical surfaces for example have either been constructed by Leica or modified from purchased commercial models to meet the specifications needed to ensure their quality standards. In many cases the factory receives the glass as pressings which roughly approximate the final shape of the lens. Other glasses can only be obtained in blocks which must be sliced into sheets, cut into squares, cemented together and ground to from a stack of discs. These work pieces are then cemented onto the appropriate grinding and polishing heads. About 100,000 of these grinding heads must be on hand. Until a few years ago, the grinding heads were made large enough to grind several lens elements simultaneously. However, for reasons of greater precision, Leica grinds each lens element individually in modern machines that keep the glass stationary while the grinding head rotates. Each grinding step is immediately accompanied by a check for proper tolerances before the element is passed on to the next step. With the best lens manufacturers, quality production imposes tolerances of up to a quarter of the average wavelength of light between the actual lens surface and a theoretical spherical section of the same diameter. To guarantee such standards, Leica has developed its own high aperture interferometers with video monitor displays. Centering accuracy requires the regrinding of the periphery of each work piece after its true center of curvature has been determined. Later, when the element is assembled into a system of lenses, these must again be accurately centered so that all of the elements have one common axis. As of late, some manufacturers have offered lenses with aspheric surfaces which can greatly improve lens performance by virtually eliminating spherical aberration. However, there are two distinctively different approaches in the manufacture of these elements. An inexpensive method is to produce a “conventional” spherical element and sandwich it with a thin aspheric surface element. These are made of precision molded acrylic. However, this method, originally developed by Zeiss, was ultimately discarded by them because it could not approach their quality standards. The main cause was the fact that even the clearest plastics, like acrylics, consist of very large molecules. Light, when transmitting, literally will scatter off these molecules, being diffused, which ultimately has adverse effects on lens performance. Other companies use precision molding equipment where a glass blank is reheated until it becomes pliable and then molded into the final shape of the lens element. Some exotic types of glasses cannot be used with this method because the reheating and molding will cause the glass to deteriorate and thus make it useless. Leica uses an entirely different approach. They use computer controlled automatic grinding and polishing of the glass elements which require the adherence to extremely tight tolerances. Unfortunately such production methods can only be achieved at considerable expense. Finished lens elements must undergo rigorous ultrasonic cleaning before they are ready for their thin film coatings which reduce reflections, thus increasing the effective light transmission of the lens as well as avoiding the deteriorating effects of internal reflections. Some manufacturers tailor the coatings exactly to the requirements of the individual glass elements so as to produce a uniform color transmission plus the best possible freedom from reflections. If one considers the tremendous variety of different optical glasses that are used, it is easy to understand that no indiscriminate use of multicoating can provide optimum results. Finally, the choice of materials used to make a lens can also influence final performance. Focusing mounts, for example, ideally will be threaded and made one part of aluminum and the other of brass. This requires a minimum of lubricants and assures precise focusing without backlash for years to come. No plastic derived focusing mount can come close. Ball baring diaphragm movements are inevitably more expensive, but they will assure accurate exposure settings of a much higher degree of accuracy than cheaper counterparts. The diaphragm leaves in the Leica R lenses for instance are spring loaded to open and close at very high speed and they are tested to reproduce the same aperture diameter 100,000 times and over a temperature range of -25˚C to 60˚C. The closing path is about twice as long as with other manufacturers . This is to assure the accuracy of the mechanism when small f-stops are used. The auto aperture lenses will reproduce the same aperture time after time to a tolerance of 1/8 of a stop. 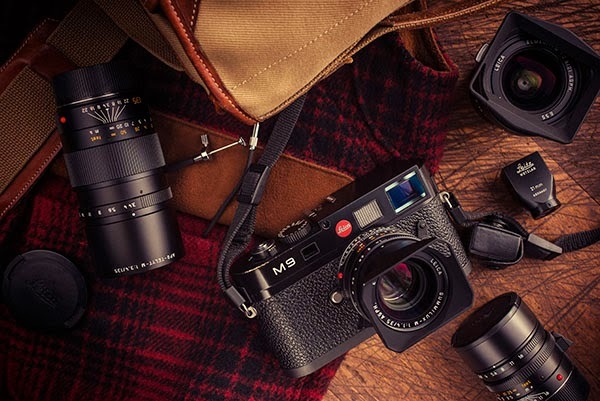 Despite the longer travel, Leica lenses will close from full to minimum aperture within 40 milliseconds without any significant rebound at the end of the cycle. Most cameras and lenses on the market today are mass produced. 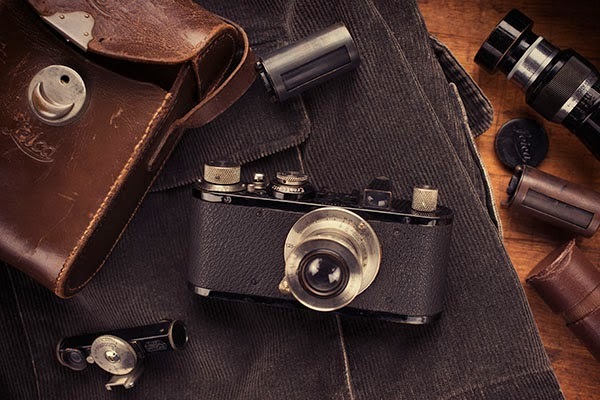 However, mass production, as good as it may be, will never approach the overall precision and accuracy of the bench made process as applied by manufacturers like Leica. In theory mass production will maintain a high quality level from item to item if periodic samples, when tested, do not deviate from the ideal within standards set by the manufacturer. However, with bench made production tighter tolerances can be achieved and each individual item and assembly step can be continually tested. Only that gives the assurance of true accuracy. Unfortunately, this is also very expensive. The relatively high performance of modern lenses has led to the common misconception that some lenses are able to outperform most films and digital sensors available today. This article will show that this is not so, that even the best lenses today can and will render increased performance levels with virtually all films and digital sensors when compared to their lesser counterparts. Unfortunately it is impossible to include all criteria that may influence the performance of a lens. Aberrations like astigmatism, coma, curvature of field, barrel and pincushion distortion all need to be controlled. Any residual aberrations of the above will adversely influence the performance of a lens. However, these aberrations can be controlled quite well and therefore will not be taken into consideration in this article. Very important, and rarely fully corrected are chromatic aberrations. White light is actually a mixture of all the spectral colors and the image of a white object should appear perfectly white, without any color fringing at the edges. When transmitted through a single element lens, white light unfortunately does not come into focus at a common point or plane. Instead it is broken up into the various colors of the spectrum, the so called rainbow colors, all of which come into focus at different points. Blue will focus closest to the lens while red will be focused furthest from it. If we can, for a moment, imagine only the red, green and blue images of the same white object, we would have a perfect image only if all of these three images came into the same focus and all three colored images were exactly the same size. This is only possible in theory. In addition we must also consider ultraviolet and infrared. 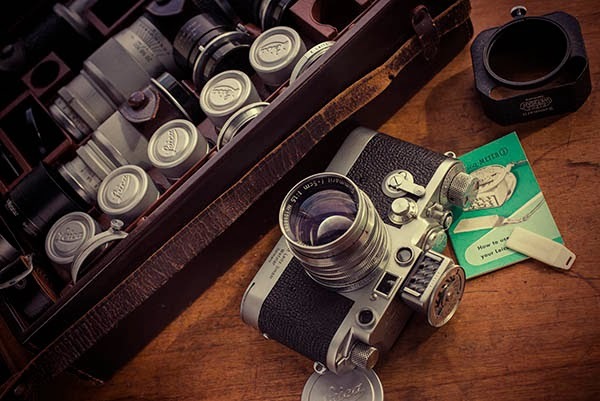 Even though invisible to the human eye, some photographic emulsions and specialty digital sensors are sensitive to these wavelengths as well and the lens designer therefore must take them into consideration depending on the intended use of the lens. The problems facing each lens designer are not only to correct the above mentioned aberrations but also to correct chromatic aberrations such that the light is brought into common point of focus or at least into points of focus close enough together to form a useful image. Considering the difficulties to bring all the colors of the visible spectrum into a common point of focus, it stands to reason that ultraviolet (UV) and infrared (IR) usually cannot be included at all. It is however the case that most black and white films and some specialty digital sensors have a certain sensitivity to UV light. If a large enough amount were to reach the film or sensor, the resulting image would be partially out of focus unless the lens is corrected for UV light. This is the very reason why UV filters are important on a variety of lenses. They will absorb UV light and subsequently avoid any image degrading UV exposure. Filters, however, regardless of how well they are made, unfortunately do influence the photographic image adversely. Lens performance is slightly diminished and due to the introduction of two more glass air surfaces the possibility of internal reflections and flare is much greater. Therefore some lens manufacturers design their lenses such that they will not transmit any UV light. All the lenses for the Leica cameras for instance use a special UV absorbing material, Absorban, to cement the various lens elements together. In lenses without cemented elements, this is assured vial different means. The result is better lens performance without the necessity of a UV filter. In practical applications this works quite well, regardless if film or digital cameras are used. A point source like a point of light would be recorded as a true point of light only if focused exactly at the film or sensor plane. However, it is fortunately the case that this point can be enlarged a certain amount to an out of focus disc or circle before the human eye would detect it as a disc or circle rather than a point. This is also the very reason why lenses display a certain depth of field, even though they can truly be focused only at one certain distance. This disc or circle is commonly referred to as the circle of confusion. Under most favorable conditions the human eye can distinguish detail that is the size of approximately 1/3000 of the viewing distance. Under less ideal viewing conditions this is less. Therefore 1/1000 of the viewing distance has been widely adopted as a useable standard. This means that a point viewed from a distance of 20 inches can have this point enlarged to 1/50 inch and it would still be observed as a point rather than a disc or circle. This inability of the eye to resolve detail past a certain size, for different reasons, is also found in lenses and therefore limits the amount of detail a lens can show. The limiting factors here are diffraction and the airy disc. Light, when projected past a sharp, opaque edge will not cast an equally sharp shadow. Because of diffraction some light passing close to the edge will be bent or diffracted and bleed into the shadow region. This will make the edge of the shadow less defined. If two such edges are brought close together to form a slit, it will not transmit a sharp band of light. Instead the edges will be diffused due to diffraction. The very same happens at the well-defined edges of the lens diaphragm. A point source of light therefore will never be quite projected as a clear point. Instead it is projected as a disc with edges not perfectly well defined. This is referred to as the airy disc and it presents the theoretical limits of resolution of a lens, also referred to as the diffraction limit. If two point sources are separated by less than the diameter of the airy disc it will be impossible to notice that two points are present in the image produced by the lens. The only indication that this may be the case is that the airy disc will appear to be elongated. It is also the case that the effects of diffraction on the overall image quality increase with the decrease of the physical diameter of the diaphragm opening. Therefore a large lens opening will show less image degradation due to diffraction compared to a smaller one. ﻿This is formulated for the average wave length of visible light of 589 nanometers with R being the resolution and f-no the aperture setting of the lens. This applies only to light entering the lens along the axis. Light entering the lens off axis unfortunately complicates matters to the extent that we must refrain from it here to keep this article from becoming too complicated. Lenses utilizing elements made of calcium fluoride have proven to be of very good performance. But they are not without drawbacks. Calcium fluoride unfortunately is very soft and scratches easily. Therefore front elements made of calcium fluoride usually are protected by a clear front glass plate or a thin lens element made of conventional optical glass. Furthermore calcium fluoride has a rather high temperature coefficient which means that it expands and contracts very much during temperature changes. In some instances this had led to calcium fluoride lens elements literally shattering when objected to great temperature differences. It is also the case that these elements do change their optical properties during temperature changes which makes it necessary to allow lenses incorporating such elements to be focused past the infinity mark. With other words, while the performance of such lenses are quite high, this must be paid for with a number of drawbacks. A series of such apochromates has been designed and manufactured under contract by Ernst Leitz Canada Ltd (Elcan). The lenses were designed by Professor Dr. Walter Mandler. 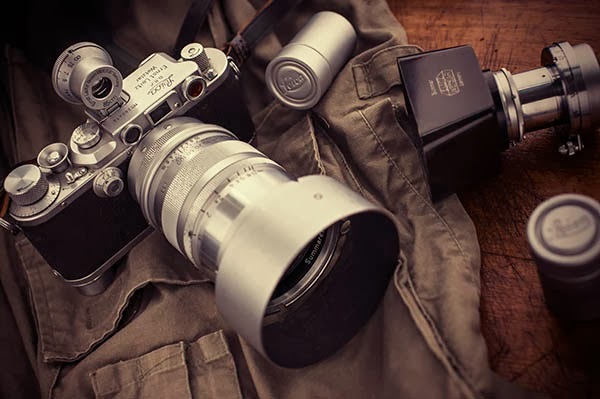 The lenses consist of: Elcan-R 75mm f/2, Elcan-R 180mm f/3.4, Elcan-R 450mm f/4.6. 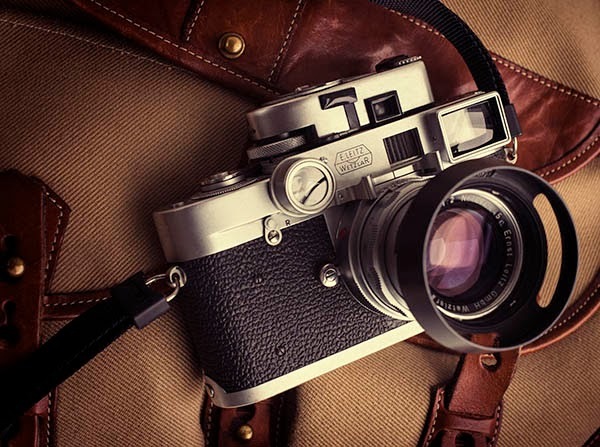 Most camera manufacturers apply less stringent tolerances. The industry average standard is 1/1000 of an inch, with a few manufacturers like Canon, Nikon and Contax going to 1/1250 or 1/1500 of an inch. Leica cameras on the other hand continue to be made to tolerances of 1/2500 of an inch or more precisely 1/100 of a millimeter. Tolerances applied for the manufacture of lenses often needs to be much smaller. Starting with the optical glass, Leica applies a standard of ±0.0002% for the accuracy of the refractive index. This compares to the international standard of ±0.001%. The accuracy of the Abbe number, the measure for dispersion is ±0.2% for Leica compared to ±0.8% internationally. For the manufacture of individual lens elements Leica allows production tolerance of no more than ¼ lambda or ¼ of the average wavelength of light which corresponds to approximately 0.00015mm. In comparison, the tolerances applied by Minolta, for instance, are ½ lambda or 0.0003mm. Where d is the focal plane shift, N the numeric aperture and R the resolution in cy/mm. (For resolution in l/mm the results must be multiplied by a factor of 2) Consequently, these stated factors give the increase in resolution of the 180mm f/3.4 lens as compared to the standard off-the-shelf Elamrit-R. The performance of the 180mm Apo Telyt-R is well known and Mr. Schantz’s article only confirms the fact that the 180mm f.3.4 Apo Telyt-R is one of the best lenses ever made. Especially the last of his above statements is very important. As he says, the lens will outperform all others with any photographic emulsion. That means any film, regardless of speed, even high speed, low resolution films. We will see later why this is so. According to the formulas used by Washer and Gardner, it would seem that the resolution of a lens will increase as it is stopped down. While this is theoretically true, total resolution is always diffraction limited. If we apply the Rayleigh Criterion and the formula used by Washer and Gardner, we can indeed get a figure for the maximum resolution of the two 180mm lenses. The following figures should be used for comparison only, since a number of other factors, not discussed here will influence final resolution as well. According to the above criteria, the 180mm f/3.4 lens will display a maximum resolution of close to 450 l/mm between f/5.6 and f/8, while the 180mm f/2.8 will reach maximum performance at f/11 with almost 275 l/mm, both based on exposure with just daylight. The resolving power of a lens-film combination is not fixed by the film alone, but by both the lens and the film (or sensor). 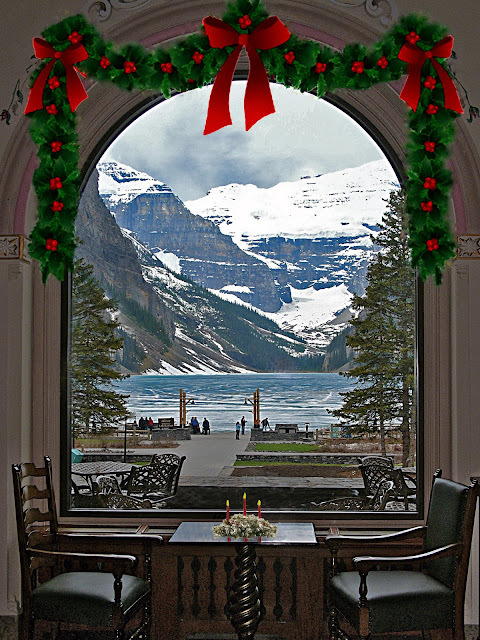 Resolution is determined principally by the sharpness of the image (lens resolution). But it is profoundly influenced by the tone producing properties of the receptor (film) and its ability to reproduce steep gradients. For that reason resolution cannot be regarded as an exclusive property of the lens. Using the above formula by Mr. Neblette, film capable of resolving 600 l/mm would yield an on film resolution of close to 300 l/mm with the Apo Telyt compared ot almost 200 l/mm for the 190mm Elmarit-R. That is a significant increase. The superior performance of the Navy’s high resolution 35mm camera system shows even more when used in the wavelengths of red and infrared only. Here the focal place shift of the 180mm f/3.4 lens is reduced to only 0.02 mm and it renders a maximum resolution of almost 900 l/mm at f/3.4, its maximum aperture. With a 600 l/mm film this would yield an on-film resolution of close to 400 l/mm, a figure that is simply unobtainable with conventional lenses. It was mentioned before that the Apo Telyt-R would display increased performance with any film emulsion. Using a film with a resolution of only 100 l/mm would indicate that all lenses with a theoretical resolution of more than 100 l/mm would render the same performance. However, if we apply the above formula, we can quickly see that this is not so. With a 100 l/mm film, the Apo Telyt-R would render almost 90 l/mm while the 180mm Elmarit-R would render slightly less than 80 l/mm. These results clearly show how important overall lens performance is in order to obtain results as good as possible with any type of film. In comparison, with a film of 250 l/mm resolution, the 180mm Apo Telyt-R would resolve over 160 l/mm and the 180mm Elmarit-R would resolve 125 l/mm. Similar differences as with film do exist with digital sensors. However, these differences are mostly due to the manufacturing processes used in the making of these sensors. For instance, some sensors use a corrective micro lens plate in front to compensate light fall off toward the edges while others use anti-aliasing filters. While these methods are generally applied to obtain an overall improvement of image quality, they can also have a degrading effect in terms of overall resolution. Unfortunately these differences cannot be easily expressed by mathematic formulas like the ones given above by C. B. Neblette for film. However, the general principles apply to digital sensors as they do to film and it should be obvious that a higher lens performance ultimately will deliver better images with digital sensors as well. Since digital sensors do not display many of the image degrading properties of film, digital sensors therefore have a greater ability to take full advantage of the overall quality of high performance lenses. However, digital sensors are also much more capable to show various shortcomings of a lens. Unlike film, where the emulsion has a definite depth, especially color films, digital sensors are totally flat. Subsequently it is much more important for lenses to display as little focus shift as possible. With better quality lenses, the focus shift does not exceed the emulsion thickness enough to render any image degrading effects beyond that of the shortcomings of the film. However, if the focus shift is large enough to render parts of the spectrum with a circle of confusion that exceeds the depth of field standard, we will indeed notice some image degradation, especially with higher degrees of enlargement. Thus lens quality is of greater importance with digital cameras in order to take advantage of the total resolution capabilities of the sensor. One might argue that relatively small increases in resolution are negligible under normal photographic conditions. However, we must remember that this is on-film and digital sensor resolution. Enlargements from either one will always render resolution figures that are less. A 10 l/mm resolution advantage on the film or sensor, when enlarged ten times, will diminish to only 1 l/mm on the print. Or, a negative with a resolution of 100 l/mm will render a print resolution of 10 l/mm when enlarged ten times. Under ideal conditions the human eye can resolve 10 l/mm, although a figure of 7 l/mm is probably more realistic. However, this shows how important overall resolution capabilities of a lens are if we plan to make relatively big enlargements. For example, an enlargement showing 5 l/mm would yield approximately 1/3 less detail than one with 8 l/mm. In reality that would be a very noticeable difference. Similar comparisons could be made with other lenses. Yet resolution alone is only one measurement by which to measure the performance of a lens. Another figure, judged by many to be even more important is contrast. Unfortunately contrast, unlike resolution, is relatively difficult to put into tangible figures. As we saw before, a point light source or a shadow cast by an opaque edge, is never quite recorded as such. Instead the areas between the light and the dark are always somewhat diffused because of diffraction. A lens with very high contrast ability will be able to seemingly lessen the effects of diffraction by changing from the light to the dark areas more abruptly, with seemingly less diffusion. To the eye this will inevitably appear as a higher degree of sharpness even though increased contrast levels in a lens are often achieved by slightly lowering resolution. Therefore today’s best lenses will always present the best possible compromise between optimum resolution and optimum contrast. At first glance, the bottom image looks noticeably better. But upon closer inspection it will become evident that the resolution of the top image is actually a lot higher. This is especially evident in the small center test targets. This is a rather extreme example, but it demonstrates the effects of contrast and resolution very well. One common means to test lens performance is with test charts. Here the lens is subjected to images formed by black bars on a white background with the white spaces between the black bars being of equal width. A black bar and a white space are referred to as a line pair. The test targets are printed in ever decreasing size. A lens used to photograph such a test chart will then display the limit of its resolution on the particular film or sensor used. This is expressed in line pairs or cycles per millimeter or as lines per millimeter. However, one must consider that black on white presents an extremely high contrast and the figures thus obtained are somewhat misleading since actual photography rarely includes subjects of such high contrast levels. When photographing these targets, the resolution of a lens will again be limited by diffraction. The border between the black and white areas cannot be sharply defined because a certain amount of the white will always bleed into the dark areas. With decreasing size, a point will be reached where the black bars are obliterated by the light spaces bleeding into the dark areas. This then will be the limit of resolution. If the light and dark areas were white and ever lighter shades of gray instead of black, with the same decrease in size, it stands to reason that the point where the gray bars can not be distinguished anymore will be reached much sooner, therefore rendering seemingly lower resolution figures. Keeping this in mind it should be easy to understand that a lens capable of high contrast levels will be able to distinguish between the gray and white areas better than a lens with low contrast capabilities. Even though two lenses might have the same overall resolution, in the above case the high contrast lens would render higher resolution and thus more detail than a lens with lower contrast. It should be obvious that one can only print what is recorded by the camera. High contrast printing cannot overcome the shortcomings of a low contrast lens. Much has been written on the testing of lenses and there are several test charts to select from. The value of such tests to the average photographer is highly debatable. The question is raised because photographs of test charts are tests of resolving power and resolving power is an incomplete and sometimes misleading indication of the quality of a lens. As we can see, there is a definite correlation between resolution and contrast. Both alone are only an incomplete measure to judge lens performance by. On the other hand, it is virtually impossible to take separate resolution and contrast figures and use them in combination to determine the overall lens performance although it is this that needs to be done. Modern computer technology has enabled us to measure lens performance in a manner that does indeed combine resolution with contrast. These performance data are given by the Modulation Transfer Function or MTF. Here lenses are subjected to test targets presenting a certain resolution and with the help of a computer the overall contrast level of the lens is given in form of a graph, considering light along the axis of the lens (sagittal) and the light entering the lens at an angle (tangential). The graph will further display the lens performance over the entire image field, giving information about the lens performance in the center of the image as well as the edges. Furthermore MTF measurements are made at various apertures. The results are one of the most comprehensive and easily understood data on lens performance. Some publications do publish test reports based on MTF data. However, in many cases the figures are based on a resolution of only 30 l/mm where contrast is relatively high. Leica and Zeiss on the other hand are some of the very few lens manufacturers that do publish MTF data for their lenses. However, their information is given for resolution levels of up to 80 l/mm which obviously presents a much more stringent performance level. While a variety of lenses are capable of delivering 70% to 80% contrast at 30 l/mm many of the Leica and Zeiss lenses, for instance, are capable of delivering similar and even higher contrast levels at a resolution of 80 l/mm. Unfortunately, there are a number of other variables that make it difficult to compare MTF data from various manufacturers unless they are done on equipment with similar performance levels. The MTF (sometimes also referred to as OTF –Optical Transfer Function) is valid for only one image point. Image quality changes at different distances from the center of the image. Subsequently many more than just one measurement is needed. In addition, lenses must be tested at different apertures and at various object distances, because lens performance differs at various apertures and at various subject distances. This is why more than two hundred measurements may be made of a single photographic lens. At Leica, an optical bench used for this purpose moves along a base of steel and concrete. It measures one meter high and half a meter wide, mounted on a section of floor that has been completely isolated from the rest of the building. All movements are so accurately adjusted that the angles between object plane, lens axis and image plane are controlled within ten seconds of arc, that is 0.05 mm at a distance of one meter. An image of the test object at infinity is produced by a collimator consisting of a parabolic mirror of 200 mm diameter. It was cut from a periphery of an 800 mm diameter parabolic mirror made by Leitz specifically for this purpose. The surface accuracy achieved in the making of this mirror is 1/8 of the average wavelength of light which is 0.000075 mm. Accuracy of this magnitude is simply unattainable with ordinary collimators consisting of a series of mounted lens elements. A slit width of 0.01 mm serves as the object. This is scanned by a second slit whose width is only 0.002 mm. This measuring slit is driven by a motor in steps of 0.00025 mm and the measurement data is fed directly into a computer. The computer automatically draws and captions the calculated curves and controls the movement of the measuring slit across the image plane. Another automatic computer program carries out measurements of spectral transmission, the energy at different wavelengths of light. This is important because only correct transmission will produce images without adverse color shifts. It is possible to record a complete spectrum in only 30 milliseconds. A connected microprocessor calculates the spectrum and displays the transmission curve on a monitor or plotter. In the final analysis the best lenses are the ones that deliver the best results. This means we must ultimately compare the results on enlargements or we must evaluate transparencies obtained with our camera equipment. Unfortunately, this introduces another limiting factor, the enlarging equipment. Needless to say, if this equipment is not good enough to deliver all the detail the camera is capable of capturing, we will never get “our money’s worth.” Fortunately there is a number of very good enlarging equipment to choose from. Most of it is capable to deliver what our camera equipment asks them to. If that is the case, we will indeed be able to take advantage of the increased performance of some of the outstanding new lenses that are available to photographers. On the other hand, the Navy’s high resolution camera system does require special enlarging equipment in order to put such great performance on paper. Performance levels of over 400 l/mm might seem excessive with most of our everyday camera equipment. But these lenses have proven to be able to deliver such performance not just with test targets but also in everyday photography. Better lenses will deliver better photographs and it is still true that “you get what you pay for.” One should also remember that a very high performance level of a lens can only be achieved if all of the mechanical components of the lens and the camera are equal in quality to the optical components. Even though there are a number of good aftermarket lenses, almost without exception at lower prices, there should be no doubt that in the final analysis none of these lenses is capable of performing equal to the best original equipment lenses available today. 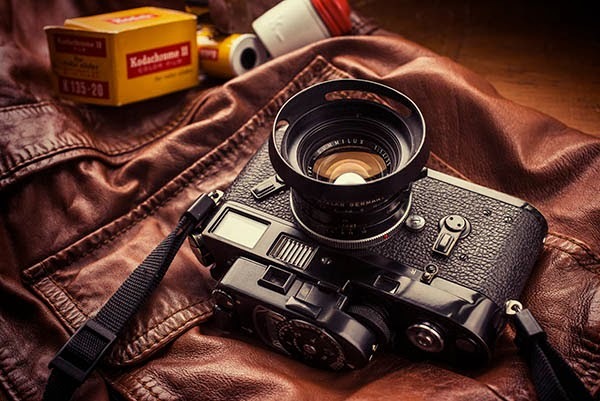 Therefore, in order to assure the best possible results from any camera, if possible, one should always choose those lenses that are offered by the respective camera manufacturers. It is a common misconception that only lens quality determines image quality, that the camera body has no influence on that at all. Especially with lenses like the 180 mm f/3.4 Apo Telyt-R, which display a very small amount of focus shift, it is very important that the tolerance applied during the manufacture and assembly of the camera are equal to those of the lenses. 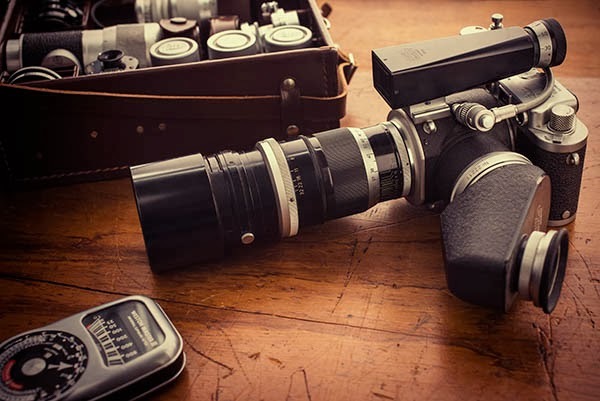 Otherwise, for example, the lens might be slightly too close or too far from the film plane to be able to take advantage of the true lens performance. The focus shift of the Apo Telyt is so small that tolerances of 1/100 mm during the manufacture and assembly are necessary to assure that the performance of the lens can be fully realized. Another important measure is dampening of the camera mirror. In a single lens reflex camera it is obviously necessary for the mirror to swing out of the light path of the lens during exposure. A poor dampening system will allow for great amounts of vibration to be introduced. 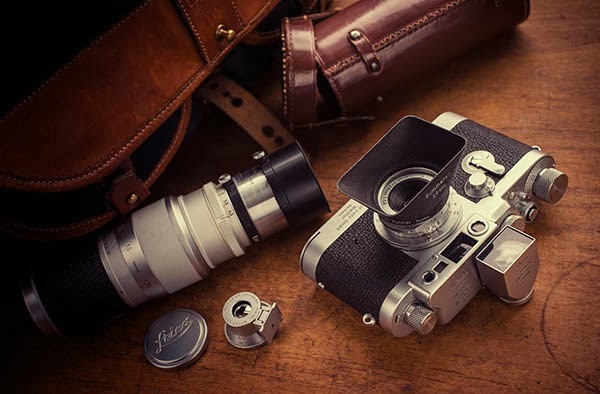 With long exposures or high magnification, either with long telephoto or with macro lenses, this will adversely affect the overall sharpness of the photograph. A small strip of foam rubber can hardly be considered sufficient as a dampening device. The best cameras usually have elaborate dampening mechanisms to keep these vibrations at a minimum. To further assure the possibility to avoid such vibrations, any serious camera should be equipped with a mirror lock up for situations where the camera can be securely mounted on a tripod. Finally, with the application of the above mentioned tolerances camera bodies and lenses must be built strong enough to be able to maintain these tolerances throughout their life span, even when subjected to very hard use. We must not look at just a camera or a lens, but at the system as a whole. Only when there are no weak links in the chain of equipment will we have the assurance of consistently high quality photographs. Needless to say, such performance levels are not chap. Unfortunately the best cameras and lenses available today happen to be also the most expensive ones. As mentioned above already, in the final analysis, we get what we pay for.